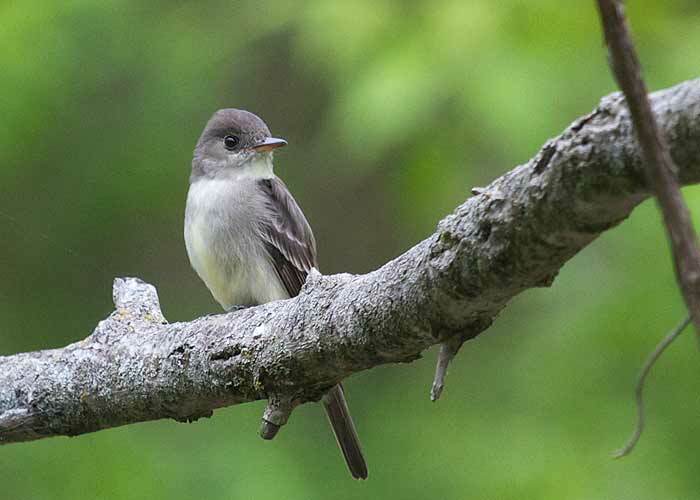 Mornings, you hear eastern wood-pewee's plaintive pee, you? pee-oh-wee in the woods. He's a flycatcher. He perches up very straight in a spot where he can see a lot of empty space, sashaying off and catches flying insects midair. Then he comes back and perches again, often from the very same place. This morning he was catching flies over Crow Creek, perching on a branch caught in a tangle of flood debris. 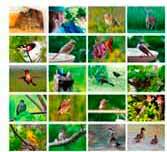 A field guide (bird book) will help you to recognize the wild birds you find.